Rockets There are 8 products. Single Stage Starter Kit,. Launch Pro. Single Stage Launcher, Launch. Pro. 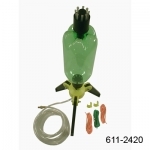 This easy to use package comes with everything you need to start launching multi-stage water rockets today! It includes a tripod base, pressurization hose, single stage coupler, modified first stage bottle, and second stage coupler. All you need is water and compressed air! Break the barrier! 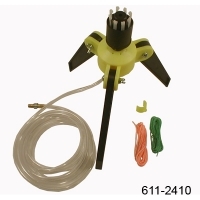 Now you can conveniently and reliably launch multi-stage water rockets with this easy to use adaptor! 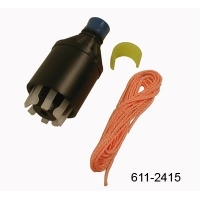 All you need is a ½ inch diameter hole through the bottom of your first stage bottle and this adaptor takes care of the rest! 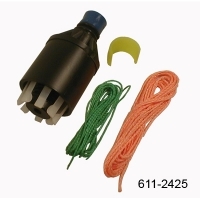 Includes second stage coupler, safety clip and lanyard, and assembly instructions. First stage bottle not included. 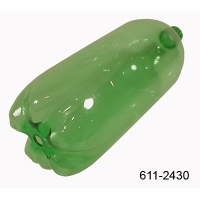 This modified 2 liter bottle comes complete a with ½ inch hole through its base for mounting the Multi-Stage Adaptor.